Intended to replace moveit_fake_controller_manager - this repo almost exactly replicates a ros_control hardware setup, and has the new feature of being able to specify an inital position. You should see the robot launch in Rviz with the arm oriented straight up, which is not the zero/home position. You can change the start position by editing in config/ur5_controllers.yaml the value joint_model_group_pose. With this simulator you should also be able to use rostopic echo to see the joint_states and tf it is publishing - essentially you have just simulated a full ros_control-based robot without needing hardware. 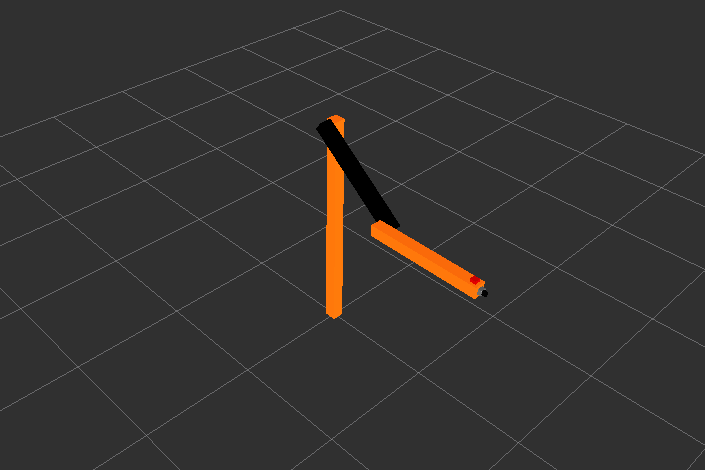 To test with an example joint trajectory, see the demo code in ros_control_boilerplate. To set your robot's initial simulated position, create a planning group in your SRDF using the MoveIt Setup Assistant named something like whole_body or arm that contains all of your robot's joints. Then, create a pose for the planning group that is your start position, and name it something like home. See ros_control_boilerplate for more detailed instructions about using ros_control to visualize your robot - this package simply inherits from that package and adds some MoveIt! dependencies that can parse SRDFs for your initial state.